We've got more than exciting shows coming to Columbia City Theater! Not only is burlesque returning to our stage this week, as well as one of Canada's biggest new stars, we're also cooking something up in our brand new kitchen! Keep your eyes peeled and your stomachs ready for a new menu of snacks and sandwiches coming from The Bourbon Bar very soon. 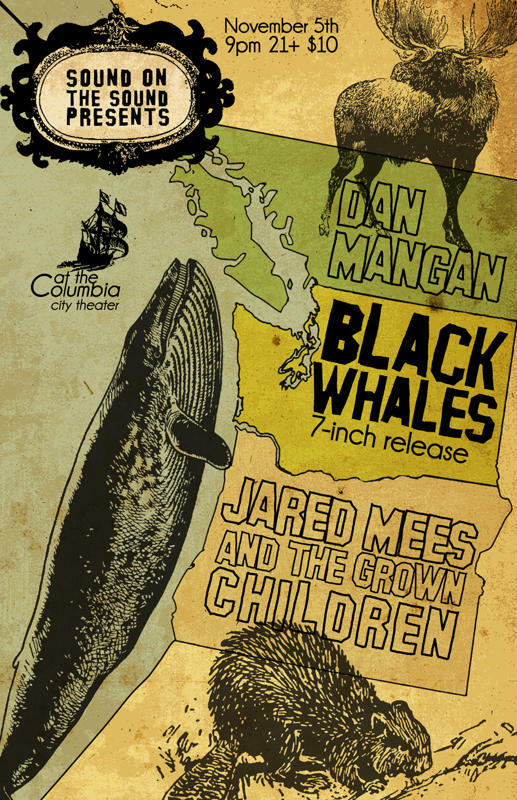 A best of the Pacific Northwest bill, Sound on the Sound is celebrating Black Whales 7'' release, as well as Jared Mees & The Grown Children from Portland and Dan Mangan from Vancouver, BC. 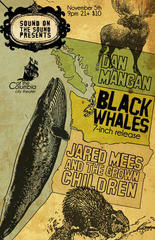 This will be Mangan's first Seattle show in years, but the Polaris Prize Nominee has been selling out shows all over Canada. On Saturday November 6th, Burlesque Returns to Columbia City Theater in a big way! Every Saturday this month, the internationally celebrated Atomic Bombshells will be presenting a different scintillating revue. And if that weren't enough, New Orleans transplant and trumpeter Michael Navedo will be performing in the Bourbon Bar before and after the show. It'll be a classy and sassy night out, in Columbia City and we hope to see you at one (if not all) Saturdays this month! And of course, when its not the weekend, there's still plenty to see and do in the Bourbon Bar. Trivia Tuesday starting at 7pm! And brush up on your Breakfast Club facts, because next week's theme is The '80s! (Not to mention, Tuesday is all day happy hour.) You can take the stage again on Wednesday for Karaoke starting at 7pm.